Ulcers, which are open sores or raw areas that occur in your gastrointestinal tract, can happen as a result of bacterial damage, smoking, and chronic use of certain medications. Some foods can aggravate ulcers making them more painful, but choosing foods from the "good" ulcer diet list can help ease symptoms. 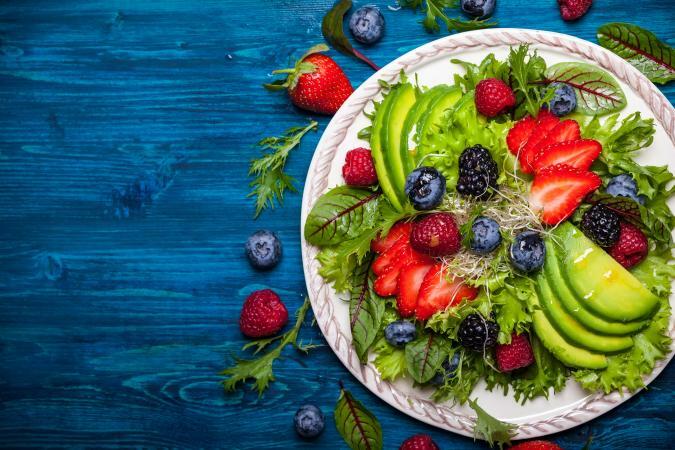 Mayo Clinic suggests eating plenty of fruits and veggies, especially those rich in vitamins C and A, as well as whole grains when suffering from ulcers. One 2014 review published in Brazilian Archives of Digestive Surgery reports fiber-rich foods help ease intestinal discomfort caused by ulcers and reduce ulcer treatment times. Authors of the review suggest getting 20 to 30 grams of fiber daily. The University of Maryland Medical Center and Canadian Society of Intestinal Research also suggest choosing lots of fiber-rich foods. Pick from the following condiment and beverage list when you have ulcers. These foods are on the list because they generally don't aggravate ulcers like spicy and citrus foods. The University of Maryland Medical Center recommends the following herbs and supplements to help ease symptoms of ulcers. Always check with your doctor before trying these. These herbs and spices tend to cause fewer symptoms than spicier seasonings. Individualized tolerances to spices may vary. MedlinePlus, the University of Maryland Medical Center, and the American Academy of Family Physicians suggest you avoid the following foods when you have ulcers because these may cause discomfort in your intestinal tract. Many of the foods on the list may cause your stomach to produce more acid, which can cause digestive tract aggravation. Keep in mind what causes discomfort in some people may not in others suffering from ulcers. The bottom line is to choose foods rich in fiber, vitamins, minerals, healthy fats, protein, and probiotics when you have ulcers. Avoid spicy, fried, fatty, and highly acidic foods, which can make symptoms worse. However, individualized food triggers for ulcer pain vary. So, if something on the "good" foods list bothers you, try eliminating it until your ulcers heal.